With our trip in Japan in-sight - I am focused on their flavors and sweets! For this post, I created my own mochi - which is actually WAY easier than you think. It has only a coupe ingredients and takes about 5-10 minutes to prepare. The hard part is getting the thickness and size of the rolled mochi correct to wrap properly around the ice cream without it gushing out all over the place. I regret not letting the ice cream harden in the mochi a couple extra hours before taking the photo because you and see it was still a little soft! The green tea ice cream was light and flavorful. The cream really cuts through the bitterness of the matcha powder. I still have a good deal of the powder left so I'm curious to see what else I can try with it! 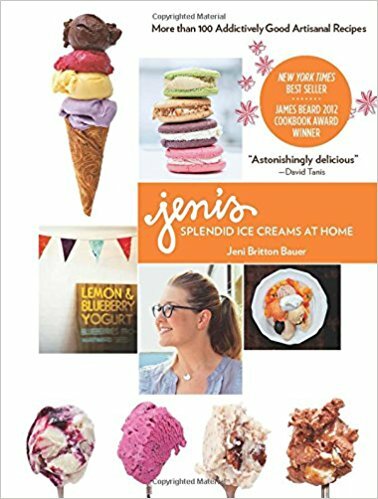 Recipe is from Jen's Splendid Ice Creams at Home. You can also find a link to the ice cream base recipe HERE. I added 1 TBSP of Matcha Powder with the "milk + cornstarch slurry"